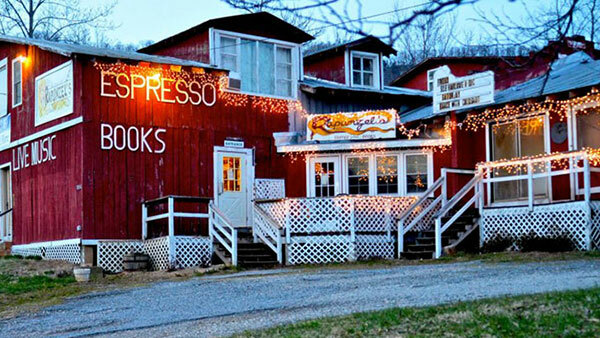 Rapunzel’s Coffee and Books is an eclectic arts venue, community space, coffee shop, and used bookstore located in The Packing Shed in historic Lovingston, Virginia. Rapunzel’s Further Ado Foundation hosts live music every Wednesday, Friday, and Saturday evenings starting at 8pm. Rapunzel’s is a listening-room, living-room-style environment. Come get comfortable with a good book and a cup of coffee or tea, and settle in for an evening of music on the couch of your choice… we have free wi-fi and serve only Nelson County local brews (wine, beer, and, cider). Join us!